Find Monument, CO Condos for sale. View Photos, Maps and MLS Data Now! Don'T Miss Your Opportunity To Enjoy Low Maintenance Living In This Unique And Highly Desirable Area MLS#2574111. HomeSmart Cherry Creek. Attached 2-car garage with shelving included. MLS#4290898. RE/MAX Properties Inc.
Woodmoor - This home is an absolute MUST SEE! ! 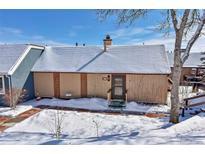 MLS#1683192. Keller Williams Freedom Realty. Woodmoor - Near schools, shopping & Air Force Academy. MLS#4719879. RE/MAX Properties Inc.
Garage doors face south. Close to trails and shopping! MLS#9070759. RE/MAX Real Estate Group Inc. Affordable living in desirable and convenient Monument location! MLS#9208360. Blessings Realty. This home is available Now! Pictures are of similar model. MLS#8689055. LANDMARK RESIDENTIAL BROKERAGE. This home is available NOW! Pictures of similar model. MLS#8916590. LANDMARK RESIDENTIAL BROKERAGE. This home is available NOW! Pictures of similar model. MLS#5182094. LANDMARK RESIDENTIAL BROKERAGE. This home is available now. Pictures are of similar model. MLS#7660917. LANDMARK RESIDENTIAL BROKERAGE. 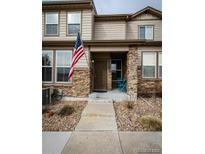 Close to shopping, schools, YMCA, easy I25 access for Denver or Colorado Springs commutes; it's perfect! MLS#6573878. RE/MAX Properties Inc.
*Price reflects builder incentive for using Colten Mortgage. MLS#8226885. LANDMARK RESIDENTIAL BROKERAGE.